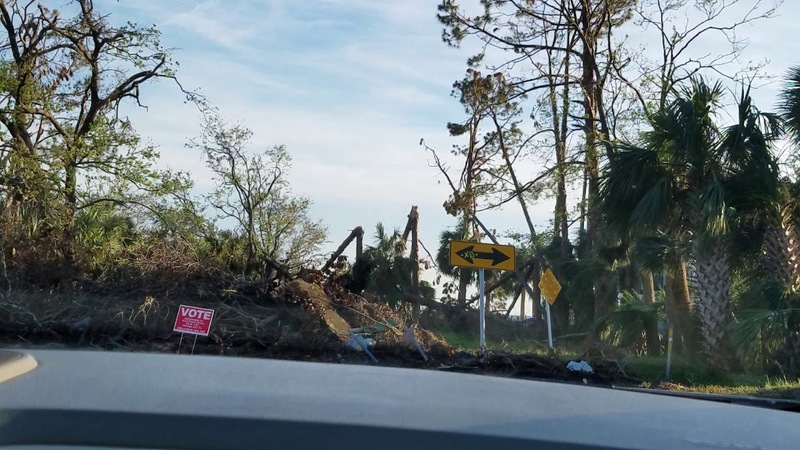 Since we arrived at our home in Panama City Beach, other than joining our friends at WKGC-FM for coverage of the midterm elections, we’ve been preoccupied with our own clean up. 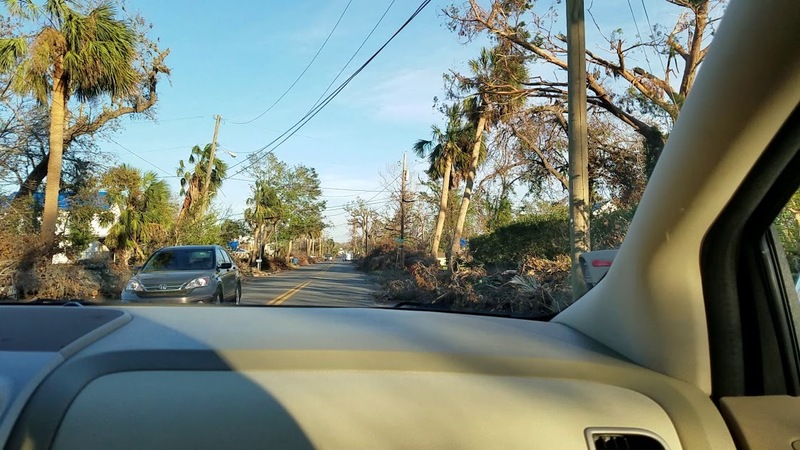 However, our problems with downed trees and some other debris were nothing compared to what we saw when we finally made our first trip east across the Hathaway Bridge into Panama City. We thought we knew what to expect. You’re probably familiar with the phrase “A picture is worth a thousand words.” so, rather than try to describe what we saw as we drove, we thought we’d just share some pictures. 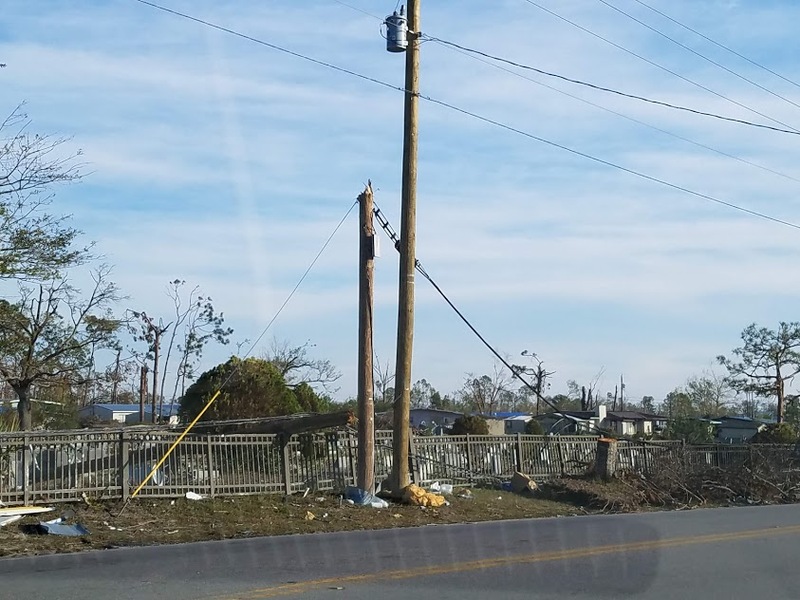 The pictures below were taken one month after hurricane Michael hit the Panhandle. Compared to many on the Panhandle, we’re doing fine. Sadly, but not at all surprisingly, some of our friends, not so much. Yes, things will get better but, obviously, this is going to take some time. Every day is a struggle for many who are living alone … or … TRYING to live … without a place to call home. As bad as this is, and it is REALLY bad, more and more we are struck by the spirit we see on the Panhandle. This is more than lip-service about helping your friends in need. This is DOING IT. This is helping your friends when YOU are in need! Yes, some have left. Understandably! But, among those who have stayed, there is this incredible feeling of rebuilding and creating something better than what was here before. Local government entities are not just waiting for their federal counterparts to point the way. Certainly, they are incorporating federal expertise and assistance but, locally, THEY are making the map for this recovery. The local creative community (And it is a STRONG one!) has come together with multiple projects to help in rebuilding. 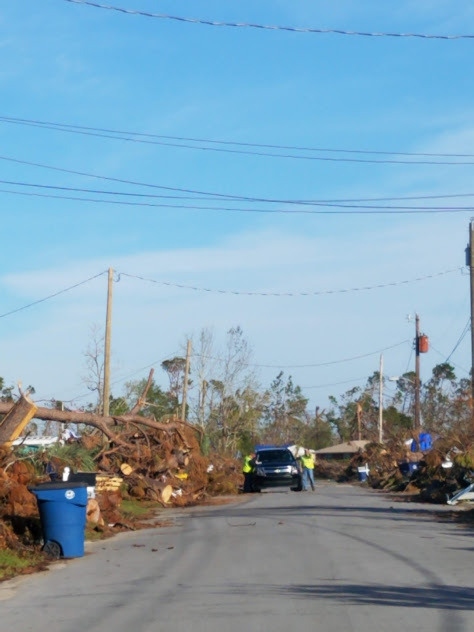 Yes, hurricane Michael was life-changing, but that life is far from over. Please check back in our blog for updates. We’ll do our best to share what we know, as we know it. Also, even though it has become a cliche to some, we know many of our friends in the Panhandle would appreciate it if you’d keep them in your thoughts and prayers. 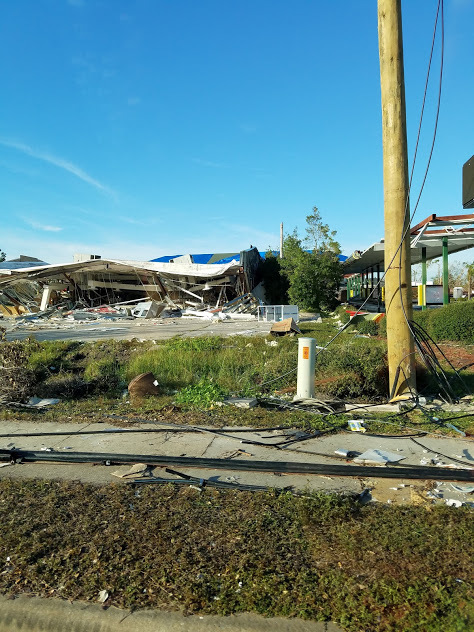 This entry was posted in Hurricane Michael, Partly Personal, WKGC and tagged 850Strong, Hurricane Michael, Johnnie Putman, Panama City, Panama City Beach, PanhandleStrong, Steve & Johnnie, Steve and Johnnie, Steve King, WGN, WGN AM, WGN Radio, WKGC-FM. Bookmark the permalink. I am glad that you are safe. The devastation is terrible!! Glad you guys are safe. 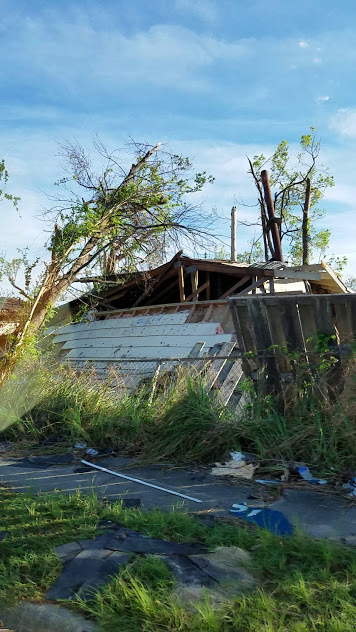 Thank you for sharing the photos — they remind us of what people are dealing with, even a month after the hurricane. The tendency to make yesterday’s news forgotten news often needs such reminders. Yes, the people of the Panhandle will remain in our thoughts and prayers. Bless you all. thanks for the update. so glad you are safe. Prayers will continue for all who are in need. I so appreciate receiving this blog, and my prayers will continue for all of you who have been, and are continuing to go through, this ABSOLUTE HORROR!! !